Many great discoveries have their origins in simple, happy accidents and tea is one of them. According to Chinese legend, Emperor Shen Nung is said to have discovered tea while traveling the countryside. The story goes that the emperor was thirsty, but the only water available was unfit for drinking. So he ordered the water to be boiled, and as it was boiling a tea leaf blew into it. Being a curious, scientific-minded man, the emperor kept the leaf in the water for a few minutes. After the leaf had steeped, he drank it and enjoyed it. He had discovered what is now known as tea. Today people around the world continue to enjoy tea for its taste, and also for its health benefits. And emerging research is starting to reveal that one of those benefits may be supporting bone health. Studies have shown that tea can benefit overall health and may help to support cardiovascular health, blood pressure, digestion and more. With tea research expanding, there are also certain types of tea that have been shown to positively affect your bones, especially in postmenopausal women. Tea’s bioactive components have been linked to increased bone mineral density and reduction in the risk of bone fractures. Specifically, the bioactive components found in tea are polyphenols. Polyphenols are antioxidant compounds found in natural foods like dark chocolate, strawberries, capers, basil, coffee, and tea. Polyphenols can be broken into 4 different types: stilbenes, lignans, flavonoids, and phenolic acids. Numerous animal studies have shown a positive link between the polyphenols in tea and higher bone mass and greater bone strength. These polyphenols have antioxidant properties that produce an anti-inflammatory response in the body. However, human studies have shown mixed results. For instance, one study published in the American Journal of Clinical Nutrition saw that older women who drank tea had higher bone mineral density (BMD) measurements than those who did not. This was after adjusting for body mass index (BMI) and age. A positive link between tea drinking and BMD has also been reported in the United States, Canada, Australia, the UK, Denmark, and Japan. With the majority of these studies conducted on postmenopausal women. On the other hand, a study on BMD in postmenopausal Turkish women found that habitual tea drinking was not a significant factor. When it comes to fracture risk, the Mediterranean Osteoporosis Study (MEDOS) showed that tea drinking was associated with a 30% reduction in hip fracture risk on both women and men 50 or older. While another study saw that habitual tea drinking had a small effect on bone density, and did not significantly alter fracture risk in US postmenopausal women. So what’s the final verdict on tea and your bones? Clearly, there is a need for continuing research in this field. The discrepancy among these results may be due to different population, different tea categories (green, black, oolong etc. ), different skeletal sites for measuring BMD and different study designs. 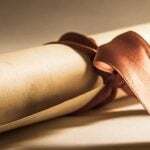 A study design is a protocol or plan for conducting the study. The gold standard of research is the double-blind, randomized control trial. Most of the studies on tea and its effects have been observational studies where there are possibilities for other lurking variables, making it difficult to establish causation. In other words, tea drinkers may have stronger bones, but that could be because of some other habit that goes along with tea drinking, like taking the time to unwind when drinking tea. The stronger bones may, in fact, be from being more relaxed and less stressed, rather than the nutrients in tea – as an example. So to evaluate the effect of tea polyphenols on humans accurately, research will need to focus on tea consumption, methods, and populations at high risk for osteoporosis going forward. However, what we do know is that polyphenols in tea can reduce biomarkers of oxidative stress and inflammation – which directly affects bone health. Oxidative stress, which occurs as a result of free radical activity and reactive oxygen species, causes oxidative damage to your bones and cells. Free radicals are unstable, organic molecules that contribute to tissue damage, degenerative diseases, and aging. They are produced naturally by your body, but can also be exacerbated by external sources. Fortunately, antioxidants like polyphenols prevent free radicals from harming your healthy tissue. With that in mind, we will look at the strength of each type of tea’s antioxidant content, such as polyphenols, and weigh in on its beneficial effect for your bones. Is Caffeine Bad For My Bones? You may have heard that caffeine, something many types of tea contain, is bad for bone health. So which is it? This topic has been debated by many experts in the health world. 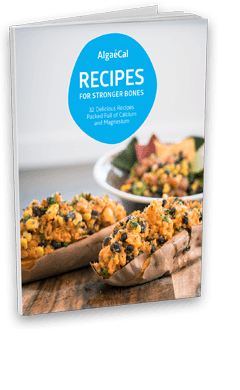 One expert weighing in is Lara Pizzorno, MDIV, MA, LMT, bone health expert and author of Your Bones: How You Can Prevent Osteoporosis and Have Strong Bones for Life – Naturally. 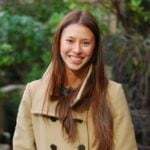 In her research, she reviewed over 70 abstracts of scientific studies done on the connection between caffeine intake and bone health. She found caffeine is actually beneficial for bone health and for lessening the risk of osteoporosis. Read it here: The Complete Guide to Caffeine and Osteoporosis. You may be surprised to learn that all teas: white, green, black, oolong and pu’erh are made from leaves of the same species. That plant is called Camellia sinensis. The variety of the plant, including the soil, weather conditions and the differences in the processing of the tea leaves contribute to the final taste of the tea. So why are some leaves black, while other white or green? This has to do with oxidation of the leaf, which begins after the green leaves are plucked. It is then dried, withered, rolled and heat treated. Look for details below! Nowadays, green tea is considered one of the most popular teas in the world. It may also offer the most health benefits of all types of tea. And, one of its strongest benefits may be its effect on bone metabolism. Green tea is made from drying fresh leaves at high temperatures. Doing so makes the oxidizing enzymes found in its leaves inactive, making green tea a non-oxidized, non-fermented tea. This is important because studies have linked oxidative stress with the development of osteoporosis, and reduced bone mineral density (BMD) in women and men aged 55 years and over. Green tea is helpful in combating oxidative stress because it contains polyphenols which fight off the free radicals that cause oxidative stress. It contains several polyphenic compounds also called tea polyphenols or catechins, which include: epigallocatechin gallate (EGCG), epicatechin gallate (ECG), epicatechin (EC), and epigallocatechin (EGC). EGCG is the most abundant of the catechins and has received the most attention from researchers. What does this have to do with your bones? Oxidative stress has been shown to inhibit osteoblast (a cell that builds bone) differentiation. Therefore, antioxidants like green tea can help mitigate bone loss by supporting osteoblast activity while suppressing osteoclast (bone-degrading cells) activity. Our second type of tea is white tea. It is similar to green tea in popularity and the bone health benefits it can provide. White tea has long been adored in China, dating all the way back to the Song Dynasty. And it’s a good thing it is beloved because the production and harvesting of this tea is specific! The tea buds are only picked on sunny days when there is no frost on the ground, and they are only picked in the springtime. Once picked, the leaves are prepared differently than green and black tea. The buds and leaves are not rolled, they are steamed and slowly dried with little oxidation. 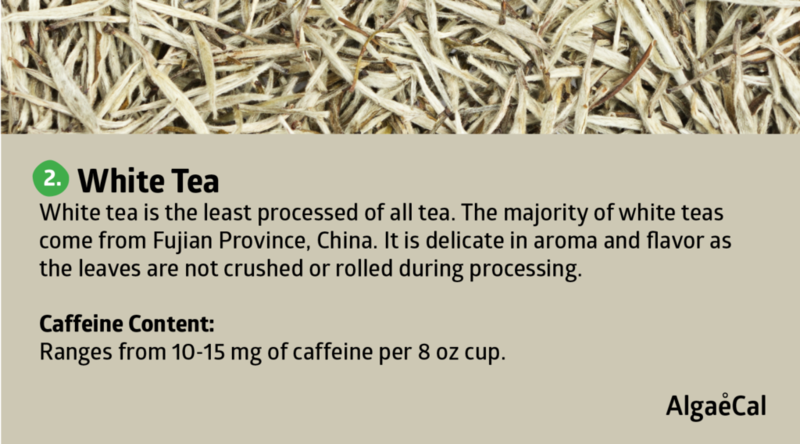 As a result, white tea is the least processed of all teas. 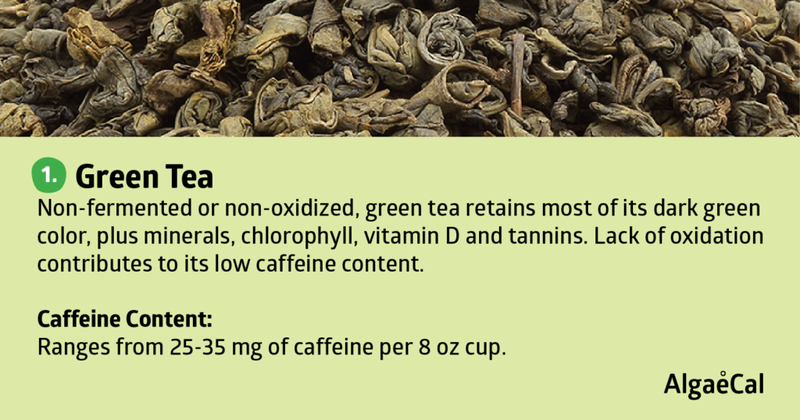 In terms of health benefits, white tea may be the closest to green tea. White tea has been purported to be anticarcinogenic and immune-supporting. It also helps to burn fat faster. One study showed white tea extract decreases the accumulation of triglycerides in the body. Triglycerides store fat that is later used for energy. While everyone needs some level of fat stores in their body, high levels of triglycerides aren’t healthy and can lead to excess weight and obesity. White tea also contains antioxidants, including polyphenols like those found in green tea. Remember polyphenols fend off free radicals that lead to oxidative stress. Oxidative stress is linked to increased risk of bone loss, osteoporosis, and bone fractures. 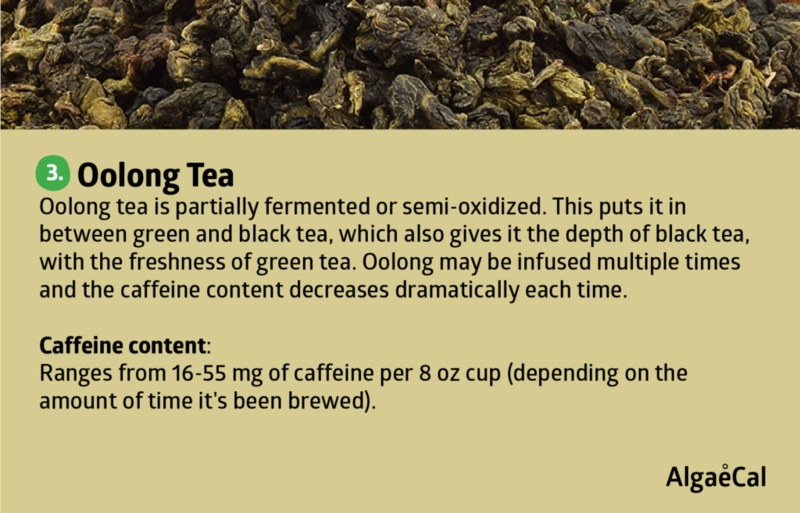 Oolong tea is a partially fermented tea made from the same tea leaves as other teas. But because it is partially fermented it tastes different and has different benefits than other types of teas. Oolong tea is known as an aid in weight loss or an effective way to control body weight, where the majority of its research lies. In addition, oolong tea has been studied for its effects on cancer, cardiovascular disease and its antioxidant properties (which has lower antioxidant activity than green and black, but more than rooibos). One study looked at bone mineral density and oolong tea in postmenopausal Chinese women. This study reviewed health data from over 600 Han Chinese women who drank oolong tea regularly, and those who did not. One of these sets of data included the women’s mineral bone density. The group who drank oolong tea regularly had notably higher bone density than the group who did not. However, the study was retracted because researchers used material that they did not obtain permission or rights to use – so while the study results themselves may be valid, official oolong tea research still needs to be continued. Worldwide, 78% of the tea produced is black tea and is generally consumed in Western parts of the world like the UK, Ireland and North America. Black tea is prepared differently and is a fully fermented tea, unlike the other teas we’ve talked about. It also has higher levels of caffeine than any other type of tea. Generally, when compared to green tea, black tea doesn’t offer the same level of health benefits. However, black tea seems to help reduce inflammation in the body. This reduction in inflammation is attributable to theaflavins, a type of polyphenol found in black tea. Again, remember polyphenols help fight off free radicals which can cause oxidative stress; oxidative stress, in turn, can lead to a greater chance of bone fractures and osteoporosis. Overall, lower levels of inflammation in the body may be supported by drinking black tea. These lowered inflammatory responses in the body may correlate with higher bone density, and higher bone density means a lower likelihood of osteoporosis and lower risk of bone fractures. Pu’erh (pronounced POO-air) tea is produced in Yunnan Province, China and is the most oxidized form of tea. There are two types: the traditional raw, naturally fermented Pu’erh tea and the faster, ripened fermented Pu’erh tea. Revered for its medicinal benefits such as reducing cholesterol to curing hangovers, it can also be extremely expensive. Just like wine, Pu’erh improves with age! In comparison, other teas can get stale with age. Pu’erh leaves are picked and then made into a sundried base tea called maocha. It is then fermented and packed into cakes or bricks. So you will not see loose leaves like other teas. There has been some early research on Pu’erh tea and its effect on bone health. One study conducted looked at the effects of Pu’erh tea extract (PTE) on ovariectomy-induced osteoporosis in rats. What they found was that PTE may help rats with induced osteoporosis suppress osteoclastogenesis in vitro. In other words, Pu’erh may have a positive effect on bone health. 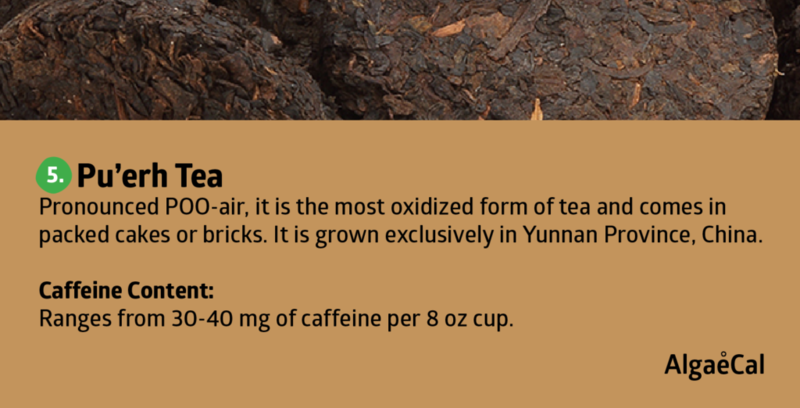 Due to Pu’erh tea being fully oxidized, its antioxidant content is lower than green or with tea. However, there is some supporting research for lowering cholesterol. In general, we know that tea is protective against heart disease and cancer. And Pu’erh may have similar effects, but it has not been studied enough to draw conclusions. There are many herbal teas in the marketplace, and many are touted as helping with a variety of health issues from dispelling indigestion to increasing energy. But one ancient herbal tea, in particular, stands out as a potential aid for better bone health: chamomile. Chamomile is known for its calming effect and assistance in peaceful sleep and commonly used for ailments such as inflammation, menstrual disorders, insomnia and rheumatic pain. It is also being studied as a possible source for helping to maintain bone health. One study, in particular, looked at four different herbal plant extracts: Sideritis euboea (ironwort), Sideritis clandestina (ironwort), Matricaria chamomilla (chamomile), and Pimpinella anisum (in the carrot family and includes the herb anise) that exhibit SERM-like properties – more on SERMs below. They examined the ability of the extracts to stimulate the mineralization and differentiation of osteoblastic cell culture. 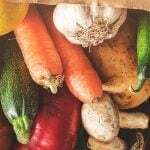 Their data revealed that all four plant extracts exhibited these effects at 10-100 mcrog/mL ranges which could be the basis to design ‘functional foods’ for bone health. While further studies are still needed, chamomile extract has initially shown it may help stimulate osteoblastic cells, which are the cells responsible for developing bones. These cells also play a major role in maintaining bone mass, and better bone mass is a critical factor in avoiding osteoporosis and bone fractures. Hibiscus tea is also a fan favorite when it comes to herbal teas. It’s tart in taste and a deep red in color. Plus, it’s popularly consumed both hot and cold. When it comes to health, hibiscus is widely used as a medicinal tea all over the world. Since it’s packed with antioxidants it works to prevent disease caused by free radicals. 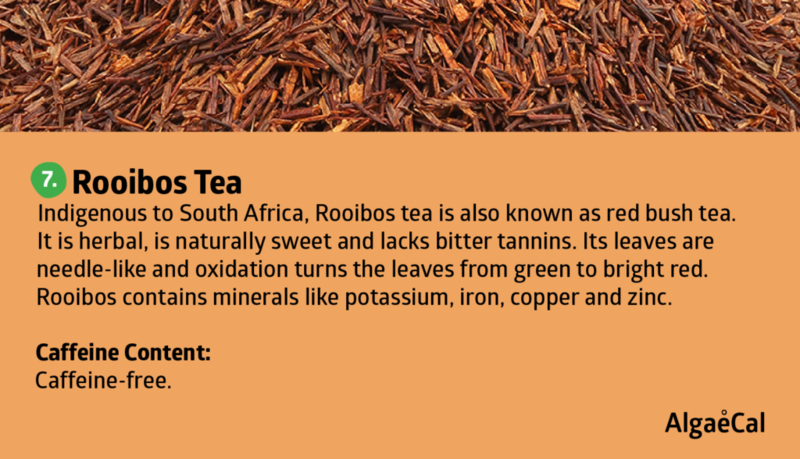 Rooibos tea, like herbal, has no caffeine. It is a red tea from South Africa that has gained popularity as of late. 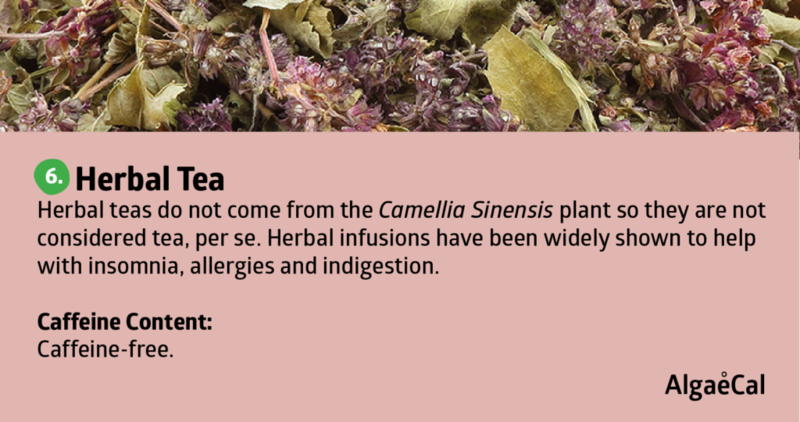 This tea is rich in antioxidants and has also been shown to reduce inflammation in the body. These two factors are important in keeping bones healthy. Rooibos also contains other components that have been linked to healthy bones: the two flavonoids orientin and luteolin. Scientific studies have shown they promote increased mineral levels in bone-related cells. With increased mineral levels, bones stay healthier and are less likely to fracture (especially fractures resulting from osteoporosis). And if all of those reasons weren’t enough to give rooibos a try, this powerful tea also contains bone-benefitting minerals such as calcium, magnesium, manganese, and zinc. After water, tea is the most widely consumed beverage in the world! In general, tea is linked to a lower risk for heart disease, diabetes, and cancer. So while emerging research on their actions on bone are promising, yet still aren’t crystal clear, tea can be incorporated into an overall healthy diet. 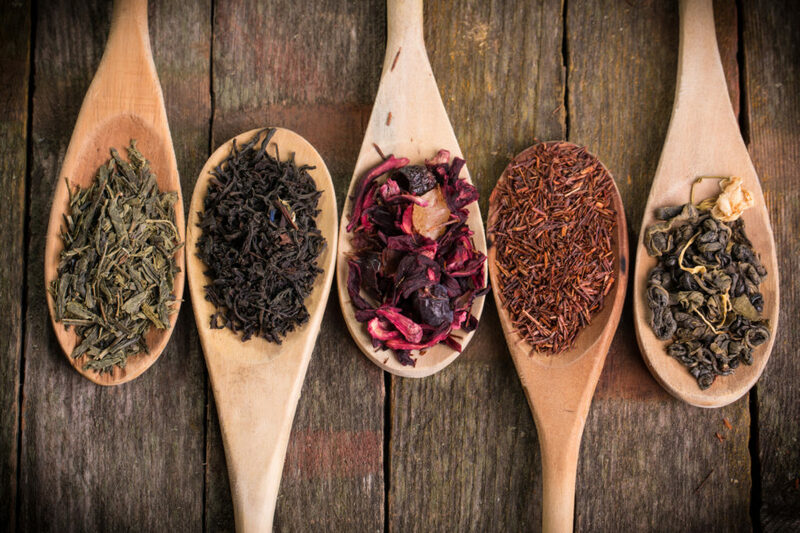 The main substance in tea known for its health-promoting properties are polyphenols. Research shows that these molecules have antioxidant and anti-inflammatory properties – which are good for overall health and your bones. So if you’re someone who drinks tea regularly, please continue to enjoy it. To keep its integrity and health benefits intact, try drinking it plain, without milk or bone-depleting sugar. Please share your pick(s) by commenting below. 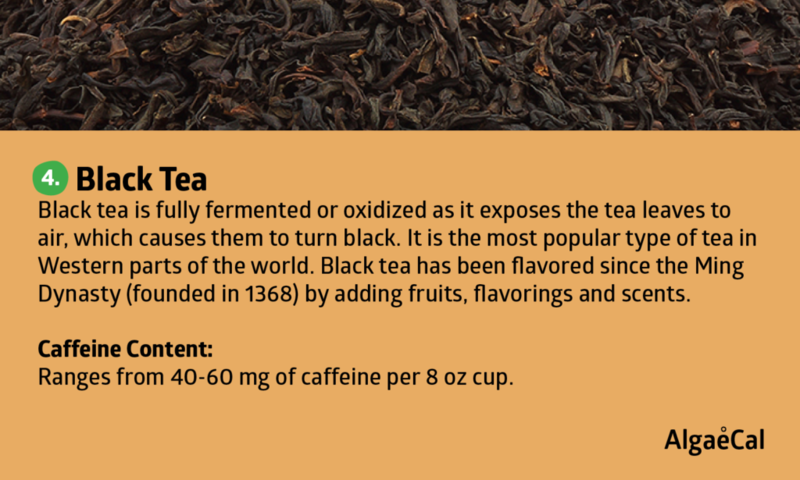 Where does black decaf tea fit in? I usually drink that. Unfortunately, I believe most studies use regular black tea and not decaf! Decaf black tea goes through processing that may affect the health benefits (depending on the decaffeination process used). I love kumbusha I make it with 6 black tea bags & 2 green then flavor with fruit in the second fermentation! Would love to know if this is helpful for bone building? Ooh that sounds delicious, Sheila! Yes, we have a great blog post that touches on the benefits of fermented foods for bone health here. How concerned should we be about the presence of fluoride in tea leaves? We have an excellent post on the fluoride content found in foods, and what to do about it, here. To minimize the amount of fluoride in your tea, you should brew your tea for the shortest amount of time you find delivers the taste you prefer! yes…please do further studies on the effect of tea on our bones. I LOVE tea and have cut way back due to osteoporosis believing it was depleting my bones of calcium due to the caffeine (which I had read in other articles)…these articles make my heart happy! I love orange pekoe tea (Publix brand)…just ordered some matcha to give that a try. Thank you for bringing us this article! I drink green tea the most. Kukicha is another great tea and I have a lot of it but I always tend to drink green tea. I have a lot of green tea that Chinese friends bring back to me. I’m not a avid tea drinker but I’m willing to start with green and herbal tea. How many cups should I have daily? The amount of tea for health benefits has varied among studies and may also vary depending on the individual. However, around three to five cups per day seems to be the range for optimal health benefits. If you are not an avid tea drinker, you can always start with one cup per day and work your way up. I love ending my day with a cup of chamomile, which has become habitual for me. Hope that helps! Thanks for this very interesting, informative article. I love all types of teas. I’ve tried to drink plain black tea but find this doesn’t agree with me. It led me to thinking, if milk is consumed with tea would this have an overall effect on calcium levels on a long term basis esp if several cups are consumed a day? Great information – thanks! Do you have any thought about Kukicha, or twig tea, which is supposed to have more calcium than a glass of milk? Yes, I’d be interested in more about how the studies are done on tea drinking and bone health. I heard that nettle and straw are a good bone building combination. You can find it at a health food store in the dried tea and herb section. The straw smells like a barnyard but when brewed up together it smells and tastes good. I have heard that the combination of Nettle and straw are a good bone building tea. The straw smells like a barn yard but when brewed up it tastes quite nice. You can find it at the health food store. Where can you purchase the best green tea?